Now that the Japan posts are all done, I can finally try and catch up and share everything else I’ve been eating this summer! 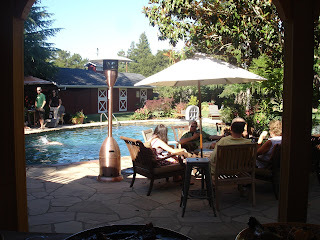 Back in July we had a BBQ at my sister-in-law Lita's (and brother-in-law Dennis') house in Marin. It just so happens that three of our family members celebrate the same birthday, so each year there is one big party to celebrate the birth of J’s brother, brother-in-law and nephew. The weather was gorgeous and the food was fantastic. 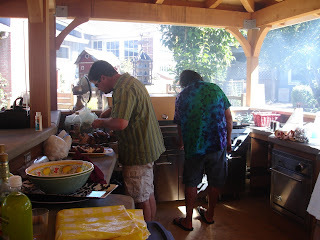 My brothers-in-law Carl and Greg manned the beautiful outdoor kitchen (I’m so jealous!) 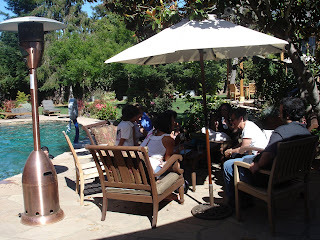 while the rest of us cooled ourselves in the pool, drank lots of wine and had a great time. I'd be smiling a lot if I had an outdoor kitchen like this one! 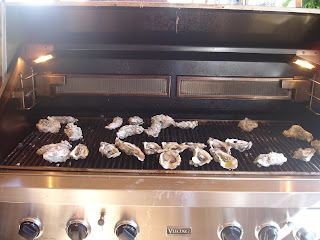 Now Carl has always been famous for his grilled oysters, a delicacy I’d yet to sample until this very birthday celebration. Let me tell you- if given the chance to eat these plump, juicy oysters bathed in garlic butter and/or hot sauce every day for the rest of my life, I would. 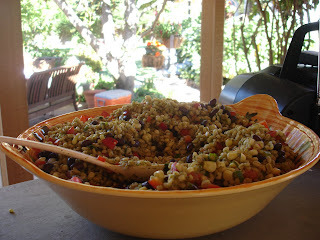 It epitomizes one of the key rules (if not THE key rule) of cooking: Use good ingredients and keep it simple. Let the ingredient shine. Holy moly these babies were just delicious on their own, but toss in a pat of fresh garlic butter (not too much, just touch) and they just blossom into the perfect food. I think I ate 1/3 of the entire platter of oysters by myself. 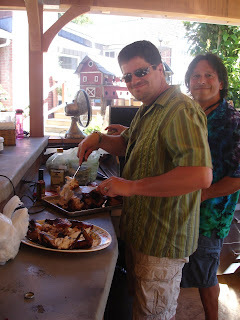 Carl and Greg also grilled up some insanely tender "beer can chicken" that we all devoured. 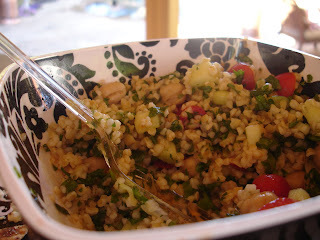 Combined with the culinary contributions of everyone else (some fruit, cheese, a fantastic couscous salad courtesy of Nina and my farro/corn/black bean mix) it was a great meal and just a great way to spend a summer day. 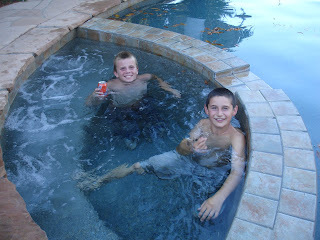 Thanks to the whole family for such a great day! Wow! The yard looks best when filled with family. Chicken was awesome but I still can't stomach oysters. Hi, I was just admiring (on Rainy Days and Sundays) the fabulous food you and your sis cooked up for your dad's retirement party. I love your idea of serving the crab salad on endive. 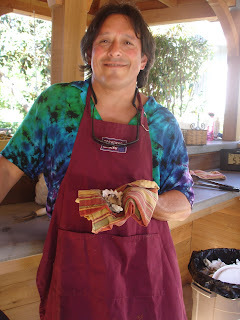 If it's not too much trouble, I'd love to know how you make your crab salad. Im sad to see that one of my favorite food blogs is getting dusty. 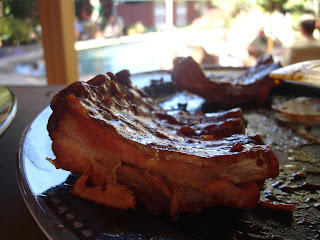 I still remember when i would check this blog frequently, to get some inspiration and recipes. I sure hope you are just busy at the moment and will take up the blog again soon.